Hip Hop Genius, Cool Video! 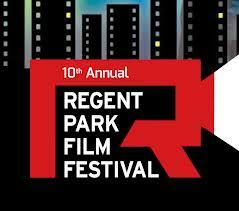 Tonight I was in Regent Park at the Regent Park Film Festival for a screening of The Interrupters. The film has not only left me speechless for the entire documentary but motivated to get even more involved with my school and community. The screening was held in the new Regent Park Arts and Culture Centre Daniel’s Spectrum. Community, front line workers, teachers, students and change makers gathered for the screening followed by a Q and A session with many activists. The movie about stopping violence in Chicago could easily be set in Toronto or my Scarborough community. The message is strong, of an epidemic sweeping North America of violence and repeating of the status quo. We follow Ameena, Cobe and Eddie (the interrupters) around the Chicago area from the group Cease Fire. They are true heroes, mentors and role models not only for those who they work with but for any documentary watcher. The courage, love and experience they share through the film is beyond words. The idea is to confront the violence and stop the chain of retaliation. From the movie, we see the vicious cycle of poverty, broken homes, prison terms and violence. I can see where the analogy of a disease comes from, it spreads, infects and repeats. When I think of my own students in my school and community, I see them in this film. I see a lack of opportunity for youth in my area. I am grateful for having teachers who care, community groups like Pathways to Education and Boys and Girls Club who keep the students safe and support them outside of school. The panel suggested that change needs to come from higher up, from politicians to do the right thing. Hiring of more police officers will not put an end to violence. We need to get youth engaged, educated and become meaningful members of their community. For all the teachers reading this, making a connection with a community group with your school. For all the community groups reading this, make that connection with the local school. All those in the community, see what you can do to get involved.